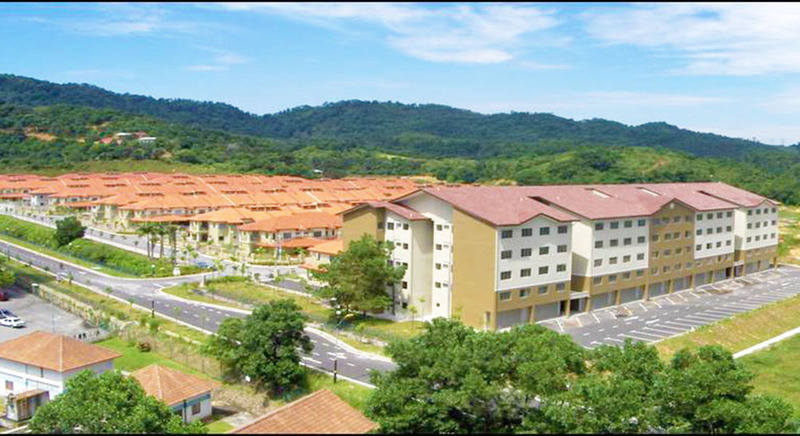 This development comprises of double-storey link houses in the growth corridor of Rawang-Templer Selayang area. Desa Sri Bayu is a strategically located residential development within minutes of Rawang Town and the nearby Taman Templer Recreational Park and Selayang area. The development sits on elevated ground, with rolling hills and greenery, enhancing the view. Being strategically located within the Rawang-Templer-Selayang growth areas, the development is readily served, within minutes, by existing public amenities and facilities such as schools, hospitals, hypermarkets.